Although we’re a few weeks into 2019, many of us are probably still scrambling to figure out how we can make our marketing efforts stand out and be effective as we enter a new year of doing business. Thankfully, we won’t be thrown many curveballs in the upcoming year. But while we can expect many of the marketing trends from years past to make an appearance this year, they will appear in ways that demand from us to better address the needs of our target customers. With data becoming more of a staple, customers are expecting you to know what they want more than ever before. And they expect you, the marketer, to deliver personalized marketing and solutions to meet those wants and needs. In plainer terms, the days of generic AdWords campaigns, social media posts and emails are over. Take this for example: 52% of customers have said that they are likely to go to a competitor if they receive an email that is not personalized. That demonstrates that engagement and, therefore, your ROI can widely vary based on your ability to tailor your marketing efforts. 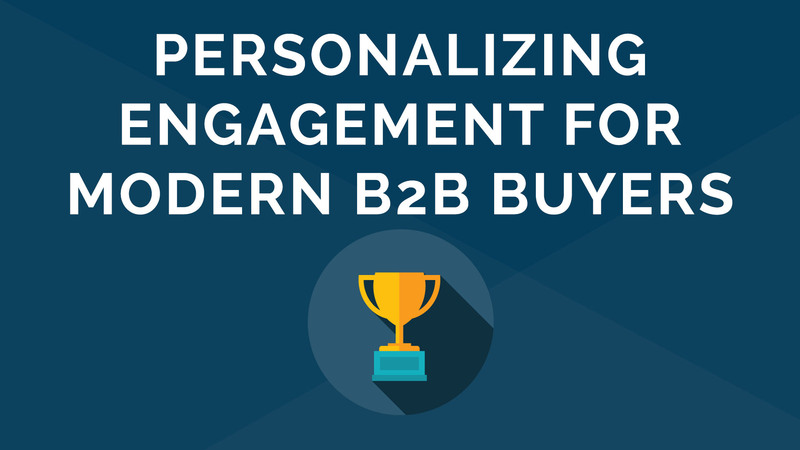 So how can marketers address this growing need for personalization? Businesses will need to focus on segmenting their audiences and make their outreach efforts more targeted than ever before.That means providing customers with relevant information based on their pain points and where they are at in the sales funnel. While that can seem overwhelming for us who are dealing with a multitude of customer personas, the right CRMs and marketing automation platforms can help you do that easily. Stats show that content marketing brings in 6x more conversions than other forms of marketing. But, creating content just for the sake of it is no longer enough. A study by Demand Metric found that personalized content is 80% more effective than that which is not. That means that in 2019, marketers should let data and insights inform their content marketing plan, just like all their other marketing efforts. If a company is trying to reach distinct segments, its marketing team should aim to create at least some content pieces uniquely tailored to the needs and pain points of that target customer group. Your distribution efforts will need to get more personal too. Marketers shouldn’t just depend on customers stumbling upon content pieces while browsing their website. You can get creative with your brand awareness efforts by posting on relevant blogs, channels, etc., to get the word out there where your target audience will see it. GDPR took many by surprise last year, and it seems like the change in how we do marketing is not over, since privacy and security laws are beginning to pop up in many countries all over the world. So, despite the need for personalization, consumers are very wary of who has their information and how they use it. And whether companies can meet that demand can affect trust and and their ability to comply with laws and regulations, so it should be a priority in the new year. You can check out our post on privacy and security trends for 2019 for more details. We talked to Brian Aldrich, the vice president of paid search at Logical Position, about his predictions for digital marketing trends on a recent Rethink Marketing Podcast, and closed-loop solutions were at the top of his list. Collecting data in 2019 is simply not enough, marketers need to prioritize seeing how every step a customer takes impacts their overall customer journey, and use this information to analyze what marketing efforts are simply falling flat during the sales cycle. Take a listen to our podcast to learn more. With today’s tracking tools, and features such as hashtags, it’s easier than ever to track mentions of your brand or company. So, in the upcoming year, don’t just think of how you can use social media to push out content. You should also consider how you can use social media to track unique insights and better understand the sentiment of your target customers. Aside from using the information you gather to inform your future marketing efforts, you should aim to use social media to engage with your customers in a timely manner. Make it a priority to quickly respond to any complaints or questions that need immediate attention. And take advantage of opportunities to reach a wider audience, such as commenting on an influencer’s social post relevant to your business in order to bring visibility to your brand.